09150006205 HARTING Han D F Crimp Contact Ag. HARTING industrial connectors are suited for the hardest requirements in industrial environments. 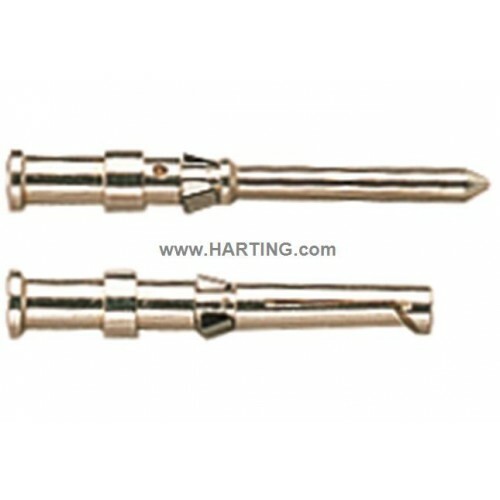 They are used in all applications requiring a safe and removable electrical connection. The field of application for HARTING connectors is in protected electrical areas. For example-in control cabinets, up to outdoor applications within the harshest environmental conditions! The product range incorporates small connectors capable of a few amps up to large multi-way high power connections. The possible combination of connectors is large enabling sensitive signals of a few milli-volts, as used in the field of Gigabit transmissions, up to 600 Amps or 5000 Volts for high power applications. The modular connector range is flexible enough to have a single piece design or multi-modules locked together in a single frame, which can accommodate, signal, and power circuits along with fibre optic or compressed air lines. Each style can be protected to comply with shielding requirements. 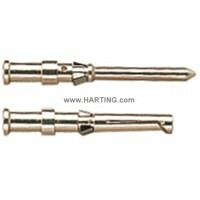 Han®: 09140123101 HARTING Han DD module, crimp female.HARTING industrial connec..
Han®: 09150006121 HARTING R 15-STI-C-1,5 QMM (AU).HARTING industrial connectors are s..